If you have looked at the map showing the positions of LOFAR, EISCAT and KAIRA, it will be apparent that there is actually three EISCAT sites on the Fenno-Scandinavian mainland. 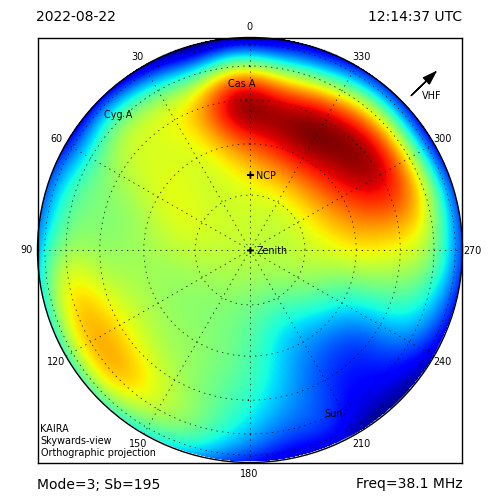 Apart from the transmitter site at Tromsø and the receiver site at Kiruna (home of the EISCAT_3D demonstrator array) there is also an EISCAT site in Finland. 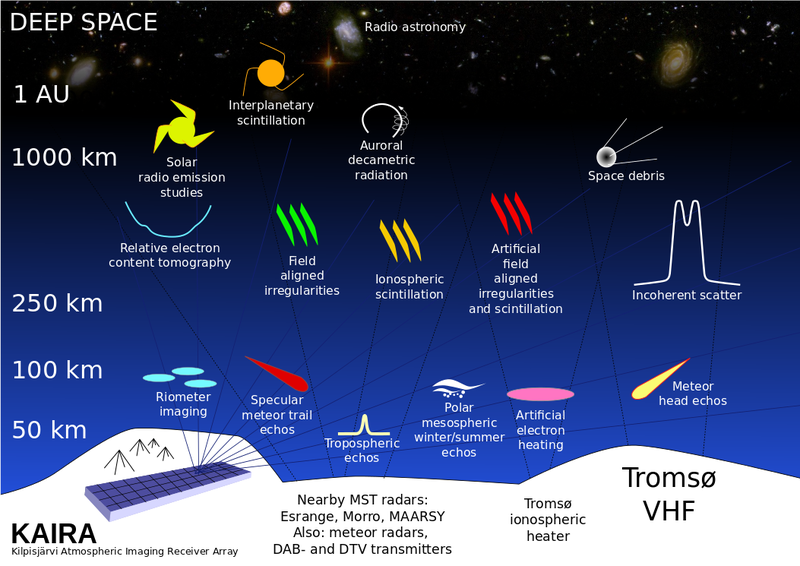 This is actually located at Sodankylä Geophysical Observatory, the institute behind the KAIRA project. 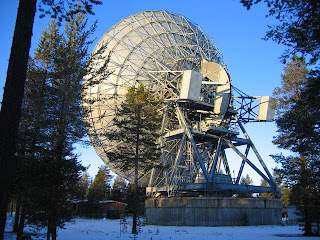 Like the Kiruna site, the EISCAT system in Sodankylä is a receiving station (there is no transmitter). The two dishes are copies of each other, built at the same time and deployed to the two sites. They are fully-steerable, 32m-diameter, prime-focus paraboloids. Both are fitted with UHF receivers (although on occasion other receiving systems have been fitted for specific experiements). The photograph shows well the backing structure and counterweights of the Sodankylä dish. In fact, at the time these were built, there were two other identical dishes built, which were deployed as part of the European VLBI Network in Italy (one at Medicina and one at Noto). Apart from some of its own unique research projects, the 32m dish at Sodankylä acts as a one of the receivers for bi- or tri-static ionospheric radar observations.